We are here to help you with all of your grease trap repair needs in Lakeland, FL. Grease Trap Repair in Lakeland – If you own a business in the Lakeland, Florida area, you know how important it is to keep your grease trap clear and free of buildup. At Averett Septic Tank Co Inc., we have a long history of helping businesses make sure that their grease traps are functioning like they should be and are here to help you with all of your grease trap repair needs. As a business owner, you realize that every day you can’t keep your doors open to your clients can seriously harm your company’s profitability. If a broken or backed-up grease trap threatens your ability to stay open for a day, or even a few days, we’ll be there for you to provide you with emergency grease trap repair services. Our team of trusted professionals is always available to provide you with repair services that allow your business to get up and running once more as quickly as possible. All you have to do is give us a call, and we’ll send a team over to your location right away. Just like you, one of our main commitments is to serve our clients the best way we can at any time of the day or night. This means that when you contact us for grease trap repair services, we’ll provide you with convenient scheduling, fair pricing, and customer service that exceeds your expectations. The next time your grease trap starts to malfunction, don’t wait to get it fixed. Instead, get in touch with us at Averett Septic Tank Co Inc. right away for grease trap repair services. 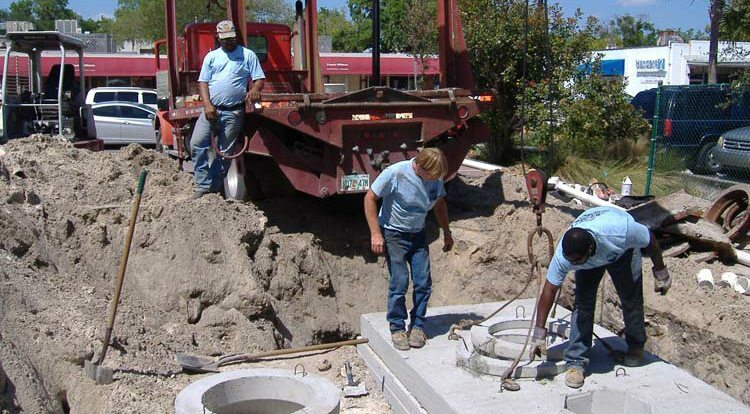 At Averett Septic Tank Co Inc., we offer grease trap repair services in Lakeland, Winter Haven, Auburndale, Bartow, Polk City, Plant City, Haines City, Mulberry, Polk County, and Eastern Hillsborough County, Florida.